<Architecture for Humanity Video: Why Green Schools? NEW YORK—The most talked about project at the Armory Show this year is the Andy Warhol-ish Brillo Box being given away by artist Charles Lutz. Throughout the show almost everyone can be seen carrying the boxes and at many booths, gallery owners have them tucked under their tables. 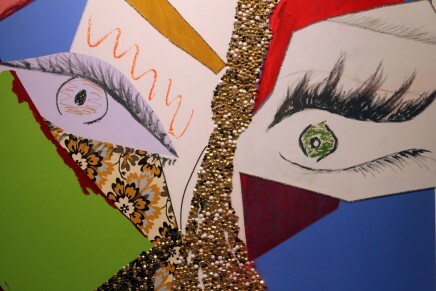 Beyond the ever-present Pop tribute, the annual showcase is featuring many works and installations from New York galleries, European reps and booths representing African, Asian and Latin American artists. 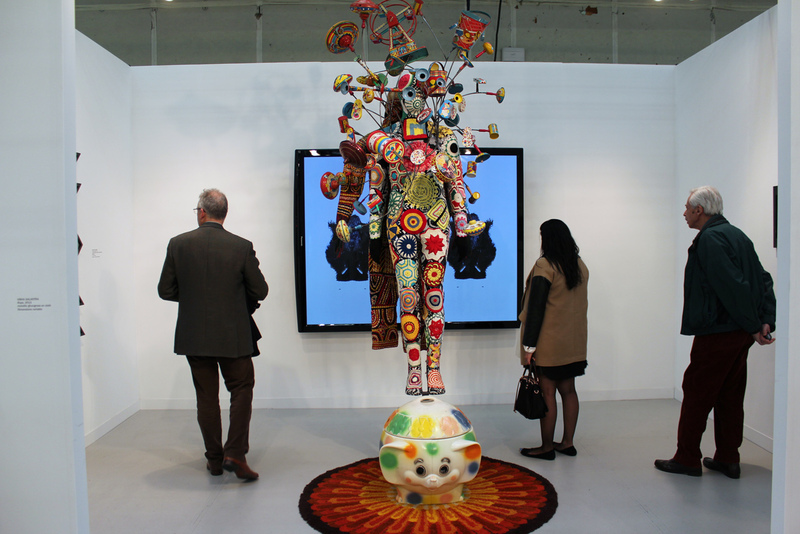 Below, are 10 intriguing installations at the Armory Show worth checking out. 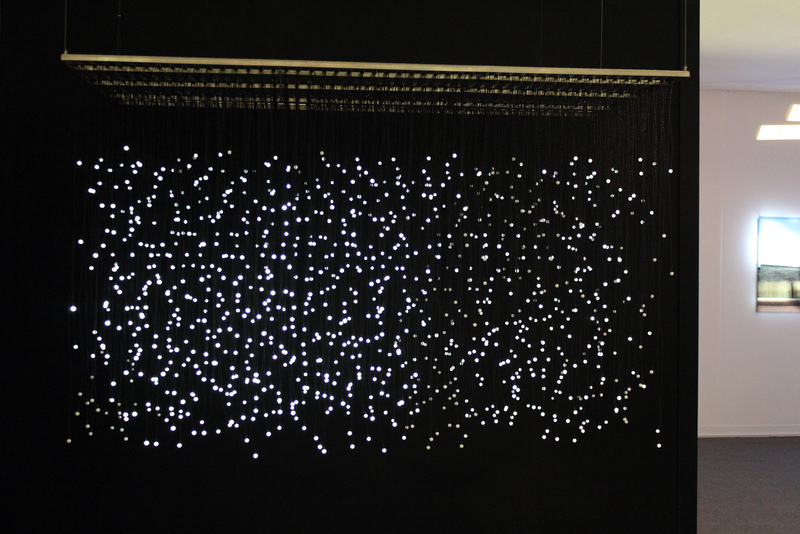 Installation by Jim Campbell at Bryce Wolkowitz of New York. Andy Warhol-ish “Brillo Boxes” by Charles Lutz at the exhibit-E and Modern Painters magazine booths. 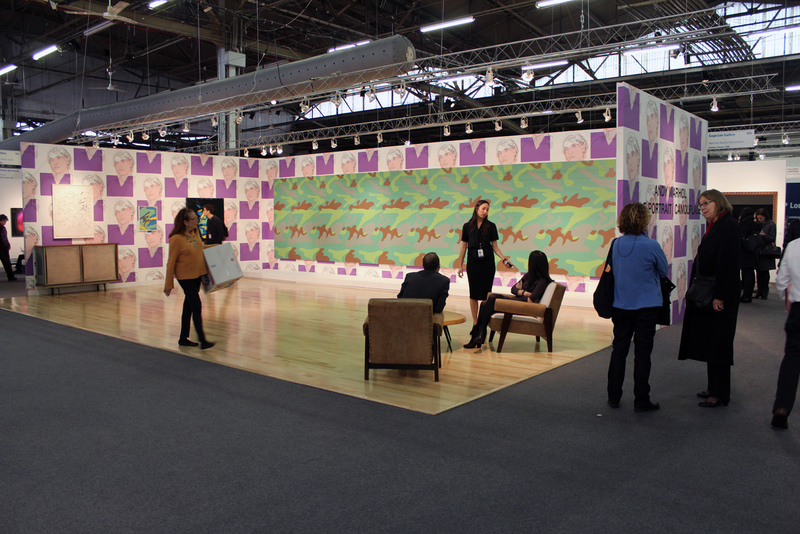 The most sought after item at the Armory Show this year is a free and collectible box. The Andy Warhol Museum commissioned artist Charles Lutz to reproduce 1,000 of the Pop icon’s Brillo Boxes and each day 250 are given away, one per person, on a first-come, first served basis when the show opens—stacked in what the artist describes as a Tower of Babel. Lutz has been on hand to sign them. 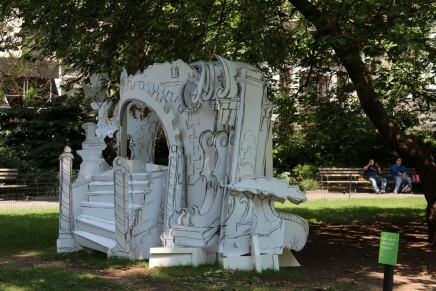 Watch Blouin ARTINFO video about the boxes. 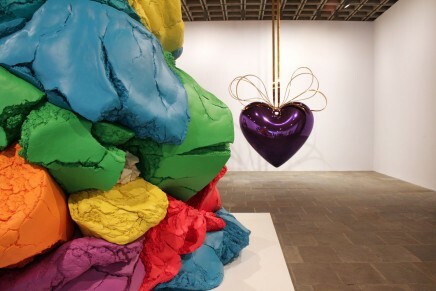 “Untitled,” 2013 (mixed media) by Nick Cave, with “Blot,” 2013 (video) by Cave in background, at Jack Shainman Gallery of New York. 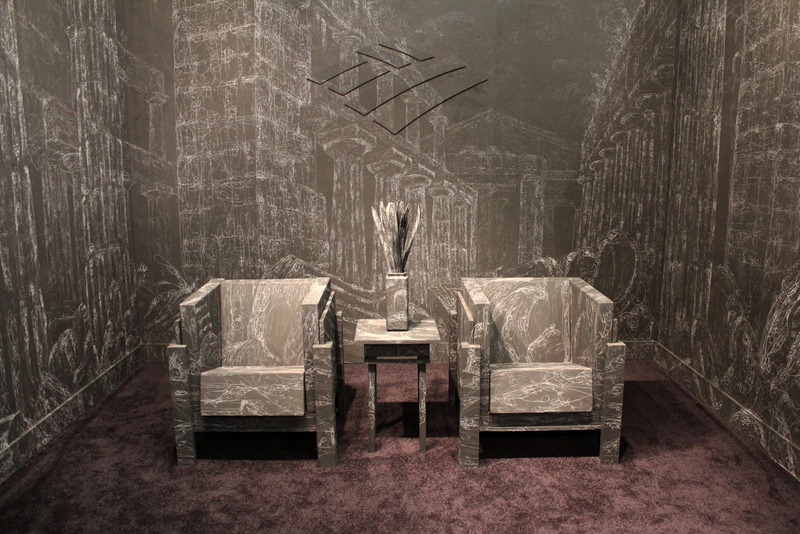 “blow up 160 – subatomic decay patterns,” 2011 (site specific installation, chalk, Chinese white, blackboard paint on wall) by Kysa Johnson at Morgan Lehman of New York. “Empire Loop,” an exhibition of Johnson’s works is on view at the at Morgan Lehman from Feb. 21 to March 23, 2013. 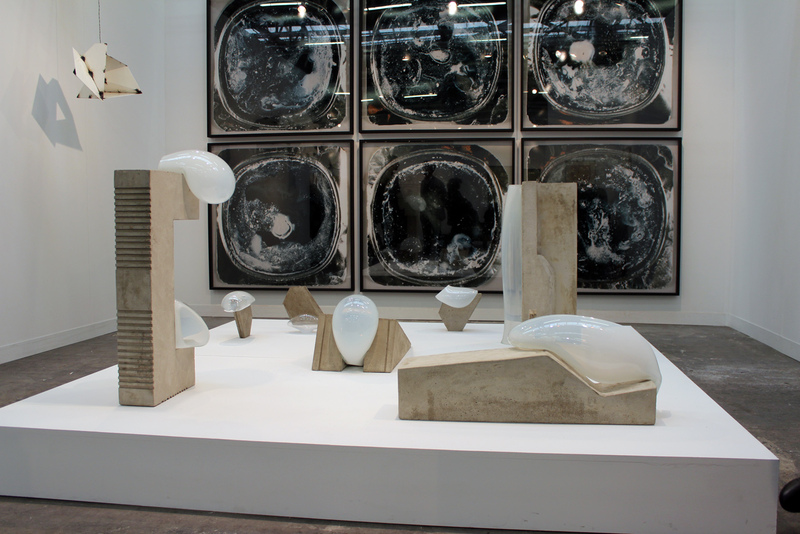 “Bubbles,” 2013 (sculptures in concrete and glass) by Morgane Tschiember at Leovenbruck of Paris. 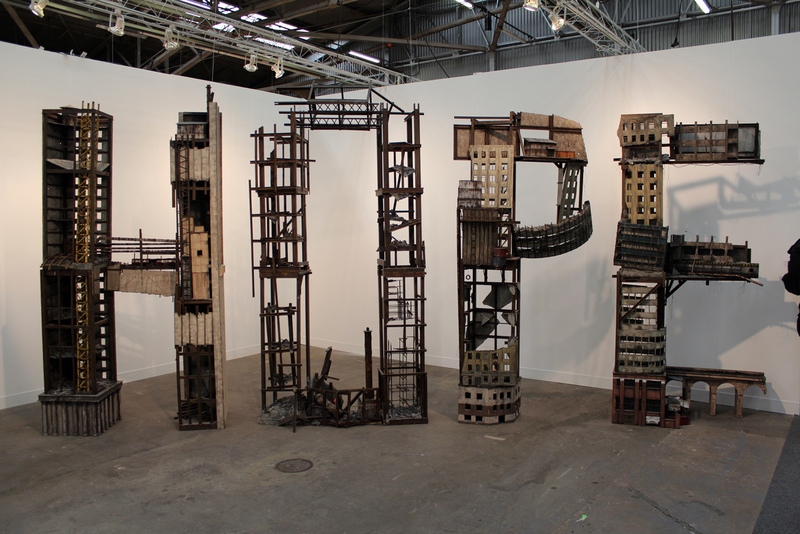 “Hope,” 2012 (wood and cardboard) by Tobias Bernstrup at Andrehn-Schiptjenko of Stockholm, Sweden. “The Network,” 2012 (generative digital portraits of 89 American innovators, custom software, computer, LCD screen, on-location set, wiring, cameras, water, 89 photographs) by Lincoln Schatz at CONNERSMITH of Washington, D.C. 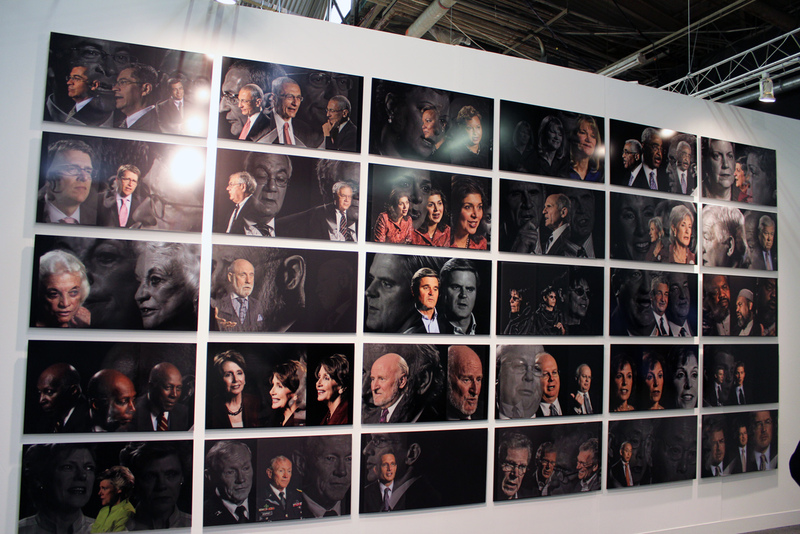 The Washington-centric installation features the likes of White House Press Secretary Jay Carney, recently departed EPA Administrator Lisa Jackson, former Supreme Court Justice Sandra Day O’Connor, journalist Martha Raddatz, AOL co-founder Steve Case, and Washington insiders Vernon Jordan and John Podesta. The entire Gagosian Gallery booth is dedicated to Andy Warhol’s camouflage works. 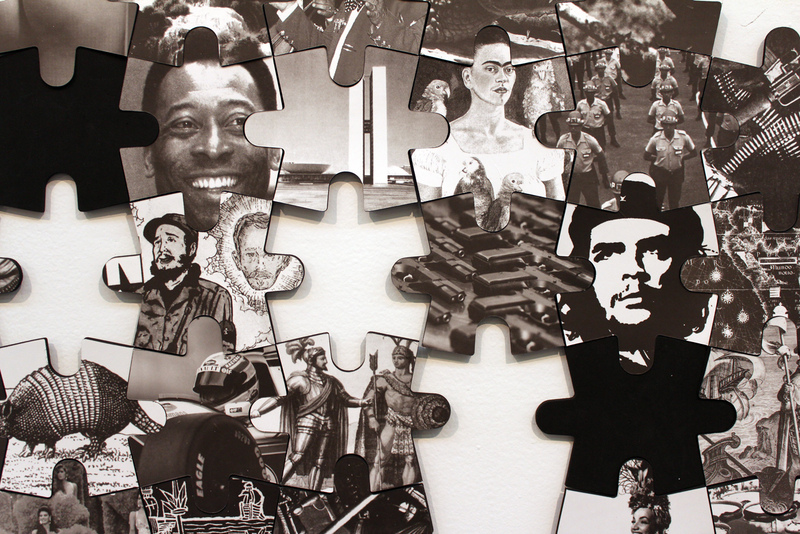 Detail of “To Be Continued…(Latin America Puzzle),” 1998/2001 (digital print on vinyl) by Regina Silveira at Luciana Brito/Galeria of Sao Paulo, Brazil. 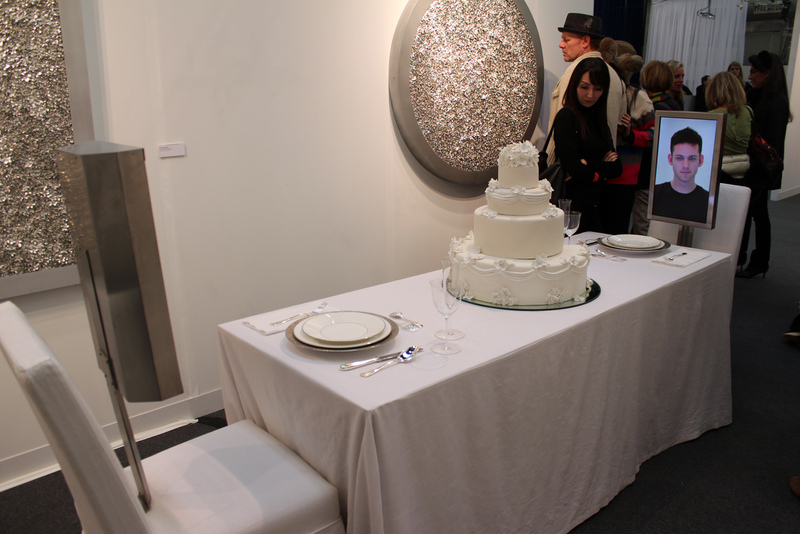 “Dinner for Two: Wedding Cake,” 2013 (mixed media installation) by Rachel Lee Hovnanian at Leila Heller Gallery of New York. 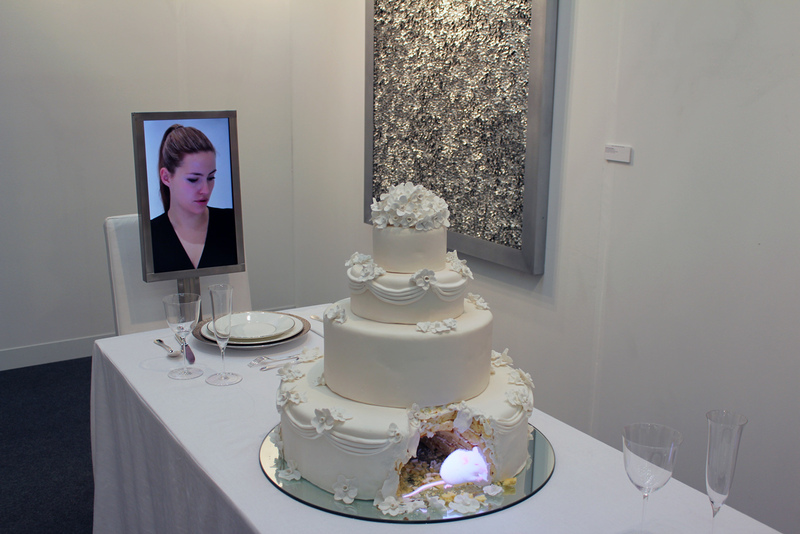 The artist’s work explores how media and technology have taken over our lives. A couple is shown on screens as they use interactive devices. Although you only see their heads, the installation’s audio allows you to hear the swoosh of texts being sent and the tapping of keyboards. On Thursday, Hovnanian said that 21c Museum Hotels, which runs a trio of boutique hotels in Louisville, Cincinnati and Bentonville, Ark., showcasing contemporary art, had purchased the work. 21c Museum Hotels confirmed the purchase of “Dinner for Two.” Stephanie Green, a spokesperson for the hotel group, told Arts Observer via email: “The artist’s focus on human relationships and technology, in life and love in the digital age, make this an exciting addition to 21c’s collection of the art of today.” 21c intends to exhibit work at all three of its properties.